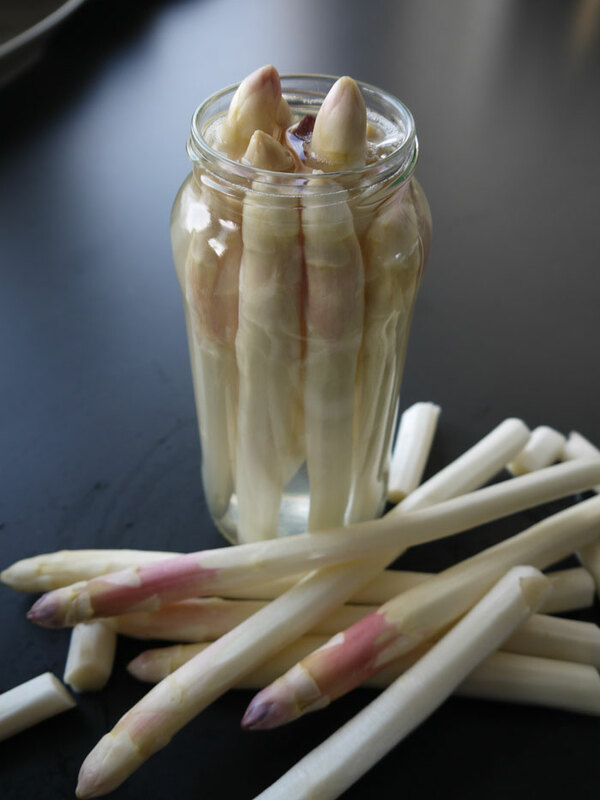 Have you ever heard of white asparagus? Perhaps traveled to Germany in the late spring/ early summer? If so, you will notice that it is a favourite dish served with hollandaise-sauce. Germans are indeed crazy about white asparagus! 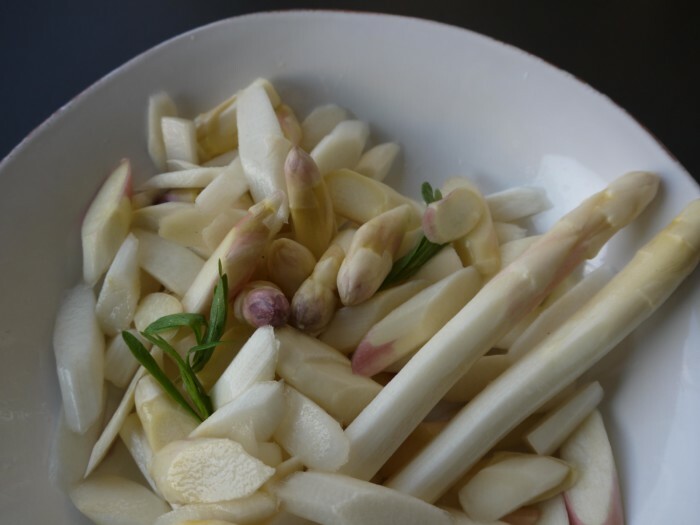 White asparagus comes from the same seeds and plants as our traditional green asparagus, however as they are growing, they are constantly covered with sand and soil in order to keep the spears under mounds of darkness – hence not acquiring a green colour. These spears are then dug up and can be much thicker in circumference than the usual green-spears we can find in the super market. The flavour is said to me more mild and more nuttier and the texture more tender. 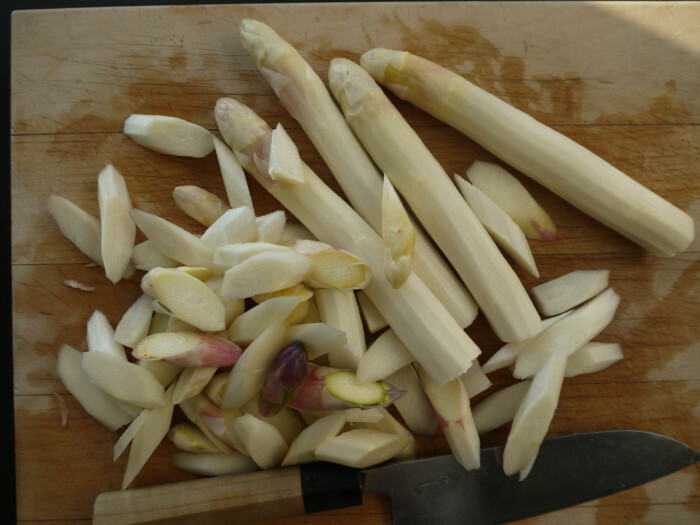 Here we have a wonderful fermented white asparagus recipe guideline from a fellow fermenter in Berlin, Germany! The combination of tarragon and orange peel is beautiful! Grab a hand full of asparagus and a jar that fits them to start and adjust the flavour quantities to your liking. White asparagus needs to be peeled properly before used. Although it can be a pain, it would be too woody otherwise. Peel the asparagus, cut it into pieces of 2-3 cm, add some salt (suggested 4% salt brine), fresh tarragon and dried orange peel, and some ground green pepper if you’d like an extra background-flavour-kick! Both tarragon and orange peel intensify their flavour over time, so use them sparingly. Leave for an hour or two so the salt extracts the juices in the asparagus and put it in a jar and fill to the top with water. The asparagus only needs a day or two to ferment. It has then a sweet bitterness and the flowery flavour of tarragon and the unique watery-crunch and earthy taste of buttery-asparagus.